Pop-Up ads can be really irritating. Concentrate on doing a task, be it reading, surfing, or playing games, and out of no where….. An ad pops up – disrupting both our concentration as well as the continuity of the task. 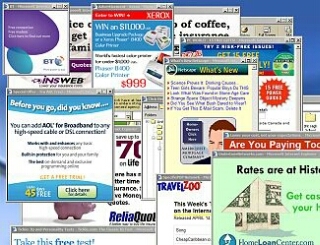 The man who invented pop up ads didn’t realize that his ‘new and innovative’ idea to showcase ads and messages would one day annoy millions of people across the globe, at any given instant. Well, I’m not sure whether his ‘invention’ is so ‘annoying’ that he actually needs to apologize to us folks….. but the person did actually say SORRY ! !